We manufacture and supply a vast range of gynecology instruments. 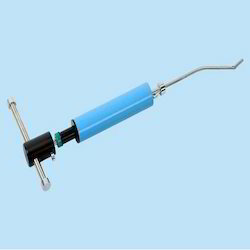 These instruments are manufactured precisely by choosing high quality raw materials. We have established ourselves as a reputed organization, engaged in offering an optimum quality Hysteroscopy Set. The offered hysteroscopy sets are high on demand for its easy usage & superior quality. These hysteroscopy sets are obtainable in different specifications to meet variegated requirements of our clientele. Offered hysteroscopy sets are inspected on several predefined quality parameters for ensuring their flawlessness. With the support from our hard working teams, we are involved in offering a high quality Uterine Manipulators. Comes with comfortable grip and sharp edges, this uterine manipulator is precisely designed at our premises by utilizing quality tested material & latest technology. The offered uterine manipulator is checked on several defined parameters for assuring its flawlessness. 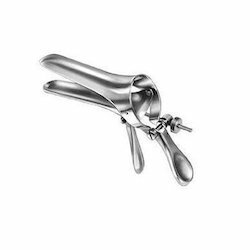 We offer this uterine manipulator in numerous models & other related options to choose from. We have established ourselves as a renowned manufacturer, exporter and supplier of high quality Gynecology Instruments. Our offered gynecology instruments are acclaimed in the market for its user friendly nature. These gynecology instruments are examined on numerous parameters for supplying an excellent range. Provided gynecology instruments are manufactured with better quality basic material under the direction of accomplished professionals. Offered gynecology instruments are accessible in different stipulations to meet the exact requirements of the clientele. Our product highly durable and operational efficient. Highly appreciated for their accurate design, precision construction, apt weight, corrosion resistance and hygienic finish, these are offered with comfortable grip and sharp edges. Furthermore, we are providing our range at extremely cost competitive prices. 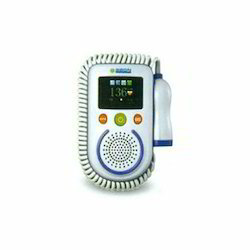 We are actively engaged in offering an excellent quality Fetal Pocket Doppler. Our offered doppler is designed using high quality material cutting edge technology keeping in mind the set norms of industry. Along with that, the entire range of doppler is tested by a team of quality experts on diverse parameters to deliver flawless range to the clientele. Customers can avail this doppler from us at nominal rates in a given time frame. We are suppliers of Kiwi Cup Vacuum Delivery Pump.The completely disposable Kiwi™ Omnicup has a hyper-low, mushroom shaped cup profile, which is suitable for all OA, OT and OP fetal malpositions and allows for placement over the Flexion Point more frequently than any other cup. 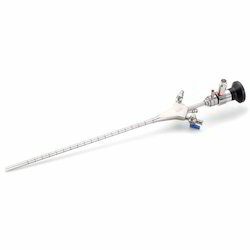 The PalmPump™provides a safe and effective source of vacuum giving the operator full control and the unique traction device allows a considerable amount of flexibility in manipulation of the fetal head. No need of suction Machine. No need of Tubbing, Adaptor etc. No need of Cheap Silicon or Heavy Metal Handle. Most Suited for C-section Cases. 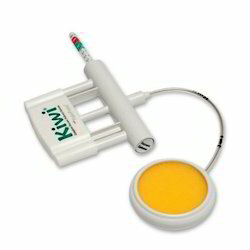 Kiwi Pump is most ergonomic with medical grade plastic and can be used in any delivery cases working in any degree or plane using very light hand controlled PalmP ump. Vacuum creation,traction,rotation,vacuum release-all in one's Plamp Pump. Insert Cup orver Flexion point and not Occiput. Looking for Gynecology Instruments ?